Tuesday April 23, 2019 11:00 AM Please join us on Tuesday mornings at 11:00AM for our weekly Storytime. We will read a variety of children's picture books and enjoy coloring activities. Recommended for children up to age 5. Sunday April 28, 2019 2:00 PM Join Author Michael Weisberg, M.D. 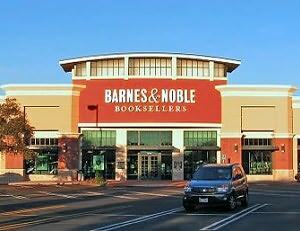 for a book discussion at Barnes & Noble Preston Royal at 2PM on Sunday, April 28th. His newly released novel, In the End, was inspired from one of his routine steps proceeding surgery. "Before I put patients to sleep for their colonoscopies, I ask if they have any questions. Many comically reply, 'Doc, what's the meaning of life? ', shared Dr. Weisberg. Tuesday April 30, 2019 11:00 AM Please join us on Tuesday mornings at 11:00AM for our weekly Storytime. We will read a variety of children's picture books and enjoy coloring activities. Recommended for children up to age 5. Tuesday May 07, 2019 11:00 AM Please join us on Tuesday mornings at 11:00AM for our weekly Storytime. We will read a variety of children's picture books and enjoy coloring activities. Recommended for children up to age 5. Tuesday May 14, 2019 11:00 AM Please join us on Tuesday mornings at 11:00AM for our weekly Storytime. We will read a variety of children's picture books and enjoy coloring activities. Recommended for children up to age 5. Tuesday May 21, 2019 11:00 AM Please join us on Tuesday mornings at 11:00AM for our weekly Storytime. We will read a variety of children's picture books and enjoy coloring activities. Recommended for children up to age 5. Tuesday May 28, 2019 11:00 AM Please join us on Tuesday mornings at 11:00AM for our weekly Storytime. We will read a variety of children's picture books and enjoy coloring activities. Recommended for children up to age 5.